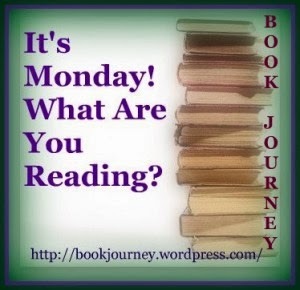 Book By Book: It's Monday 12/2! What Are You Reading? I hope everyone here in the US had a wonderful Thanksgiving holiday with family and friends! We traveled to Rochester, NY - my hometown - for a whirlwind visit with all the branches of my family. My sons had a blast running around with their cousins all weekend, and I loved seeing everyone and catching up (my husband wasn't too thrilled with all the snow and 20 degree temperatures!). I brought bags and bags of books with me to give to all my young cousins and kids of my cousins - some that my kids had outgrown and others that I received for review for Great Books for Kids and Teens. It was fun to see some of the kids get sooo excited when I handed over a bag of books for them. I just love to share books, especially with kids! I also had a wonderful time talking with my teen cousin about Between Shades of Gray and The Book Thief, two fabulous books that I recently sent her for her birthday - she is loving both of them! I finished Flyaway by Lucy Christopher, a middle-grade novel about a young girl named Isla whose father is obsessed with birds and especially the whooper swans that winter near their home each year. When Isla's father collapses while they are out looking for the swans, her world seems to fall apart. It was very good, and I passed it onto my cousin's 10-year old daughter as soon as I finished it this weekend! I squeezed in a teen/YA graphic novel last week, The Dumbest Idea Ever! by Jimmy Gownley. I enjoyed it - it's actually a memoir, about how Gownley began drawing his own comics when he was just a teen. This weekend, I started When the Emperor Was Divine by Julie Otsuka, a historical novel about the Japanese-American internment during World War II. My son read it in school last year and liked it, and I enjoyed Otsuka's other novel, The Buddha in the Attic, so I thought it was about time I got around to reading this one. It's excellent so far, and I can see why my son was so moved by it. I am still listening to Rotters by Danial Kraus on audio, a teen/YA novel about grave-robbing, bullying, and the meaning of family. It's a long one, but I am on the last packet of discs now! It's good but very dark and sometimes disturbing. And while we were driving home in the car yesterday, we stuck with our Thanksgiving tradition and began listening to A Christmas Carol by Charles Dickens. We have many audio versions of this holiday classic, but this was a new one, read by Jim Dale, and we are all enjoying it. We'll finish it on the way to my Mom's house in two weeks. My husband, Ken, finished Rebel Heart by Moira Young, book 2 in the teen/YA post-apocalyptic Dust Lands trilogy that began with Blood Red Road. This one is on my list to read, too - he said it was very good. Ken is now reading World War Z by Max Brooks, a novel he's been meaning to get to for a while now. It just came out on DVD, and he wanted to read the book before we watch it. Even though Jamie, 19, was home from college for a few days, he still didn't have much reading time, with homework to do and cousins to hang out with! He is still reading the third and final book in the Night Angel trilogy, Beyond the Shadows by Brent Weeks - he absolutely loves this series! Craig, 15, is reading The Curious Incident of the Dog in the Night Time by Mark Haddon for his British Literature class and enjoying it very much so far. Review of The Dream by Harry Bernstein, follow-up to his first memoir, The Invisible Wall - both are excellent! So nice they enjoyed the books you chose for them. That must be gratifying! I just finished reading "The House Girl" by Tara Conklin. I really enjoyed it. The book interweaves the stories of two women: a runaway slave in 1852 Virginia and a young lawyer in present day New York City. I liked both women and their stories. I was fascinated by Josephine the 17 year old house slave. A side of slavery that is both personal and informative. One of those books you don't want to end. I feel that I gained a lot of insight into this period of time in the South.